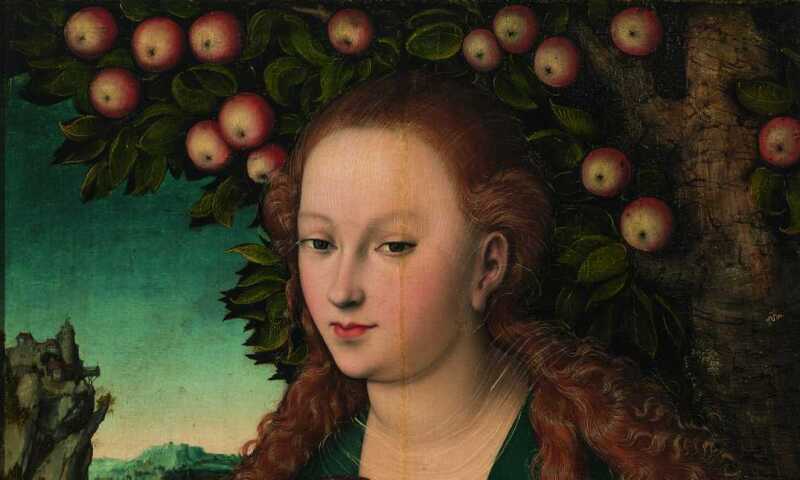 Lucas Cranach I, Madonna and Child underneath an Apple Tree,1525–30. Oil on canvas (transferred from panel). The Hermitage Amsterdam is celebrating its 10-year anniversary. For the occasion, we gained access to all those wonderful collections of the State Hermitage in St Petersburg and brought together quite some extraordinary museum treasures from the entire history of art. From pure golden archaeological finds from ancient cultures, through sculptures and valuable items dating back to Greek/Roman times, to highlights in painting with big names such as Da Vinci, Dürer, Van Dyck, Matisse, Rembrandt, Tintoretto, Velázquez and Van der Weyden. The fascinating Venus statuette from 23,000 BC is the oldest object, the devilish swan of Belgian artist Jan Fabre is the youngest, from 2016. Over two hundred works of art in a grand journey through art history.